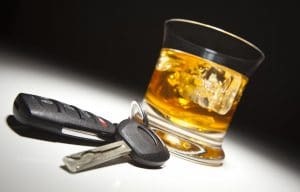 Channel 6 ABC reported in February, 2019, that Tennessee lawmakers are seeking to increase the penalties for repeat DUI offenders. Under a new bill, proposed by Tennessee state senator Todd Gardenhire, drivers who are convicted of a second driving under the influence charge will spend at least 11 months and 29 days (the maximum allowed for a misdemeanor offense) in jail. Under current law, a second DUI conviction will result in anywhere from 45 days to 11 months and 29 days in a Tennessee jail. Senator Gardenhire hopes the new bill, if enacted, will prevent tragedies such as the death of one man who was killed, after battling for his life for six months while in a coma. The ABC story profiled the distress of the deceased man’s wife. The length of the jail sentence, amount of any fines, mandatory use of an interlock ignition device, license revocation, and other consequences vary depending on whether the offense is a first, second, third, or other multiple offense. In addition to the increased jail time, the fines for a second offense range from $600-$1,500. The driver’s license is revoked for two years, again with the possibility of a restricted license. The vehicle may be seized. Other penalties are similar to those for first time offenders. There are defenses to a DUI charge. DUI includes driving under the influence of alcohol and driving under the influence of drugs. The police need reasonable grounds to believe a driver was driving while under the influence. Law enforcement simply can’t pull over people at random and test them – unless they have set up an approved random check roadblock. Giving the person suspected of a DUI approved field sobriety tests. Giving the driver breath or other chemical tests only if there are reasonable grounds to believe the driver is intoxicated or under the influence of drugs. Explaining the consequences for refusing to submit to a breath test such as the likely suspension of the driver’s license. Other defenses may be available depending on the reason the police pulled the driver over, the manner of the testing, the results of the tests, how the test results are stored, and other factors. At Delius & McKenzie, PLLC we have been defending Tennessee residents against DUI charges for more than two decades. We fight to suppress evidence, to challenge the basis for the arrest, and to question the police officer’s findings. We have a strong record of success in obtaining dismissals, acquittals, and plea bargains. We aggressively work for defendants who live in Sevierville, Seymour, Gatlinburg, Pigeon Forge, and the surrounding Tennessee areas. To speak with our experienced DUI lawyers, call us at (865) 428-8780 or fill out our contact form to schedule an appointment.